It goes without saying that the absolute highlight of our week was meeting our Big Grade 7 Buddies. 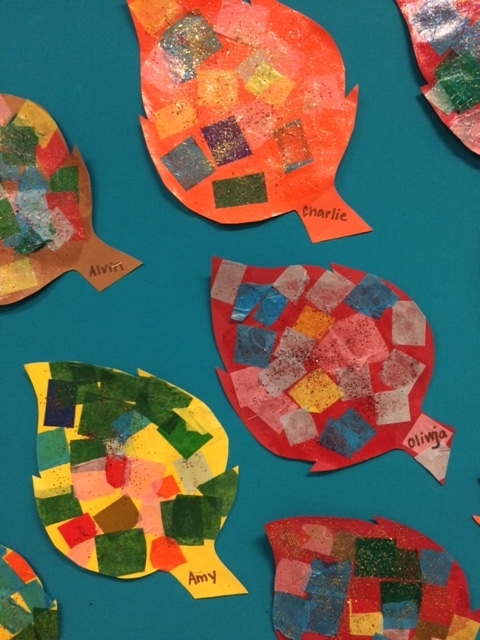 Mrs. Campbell’s class will buddy with Mr. Meldrum’s Grade 7s and Mrs. Daudlin’s class will buddy with Ms. Wilson’s class. We meet once a week, usually on Wednesday afternoon, to socialise, make holiday crafts, play and enjoy each other’s companionship. Next week, however, we will see our Buddies on Thursday for the Terry Fox Run. We had a grand time filling out a reminder sheet for you with our Big Buddy’s name, and then a short playtime on the playground. We visited the Library again and borrowed our weekly books. As you greet your children afterschool, please help them to place their library book in their backpack, or place in your own bag if it’s too big, to keep it safe and dry. You will be billed for books which are lost or damaged. As many of our hardback picture books are now out of print, it is very costly to try to find replacements. As part of our “Personal Identity” Social Studies unit, we’ve been exploring our Name. We read the delightful book Chrysanthemum by Kevin Henkes, and have gone on to talk about our names and nicknames. 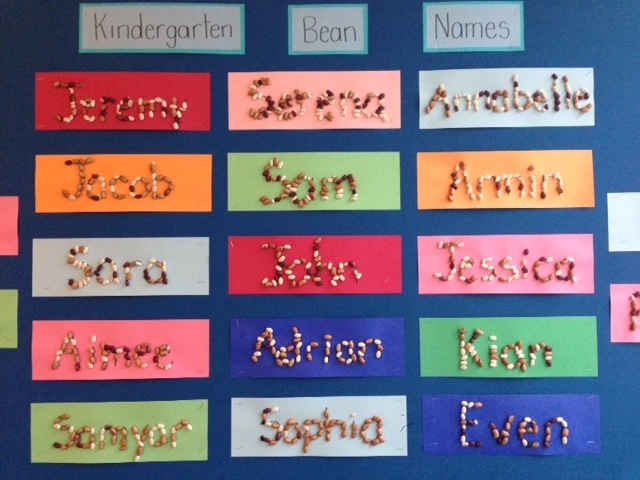 We’ve made several name art projects, including Bean Names and Fruit Loop Initials. Scholastic Book orders are due on Tuesday, September 27. We will be watching the play “Robinson Crusoe” presented by Axis Theatre on Wednesday, September 28. The Terry Fox Run will take place on Thursday, September 29. Kindergarten students will be running, hopping or skipping one or two laps around the gravel field with their Grade 7 Buddies, then meet with their teacher. Please remember to wear red and white and show your Canadian spirit. Thank you to parents who volunteered to help marshal the road route for Grades 1-7.